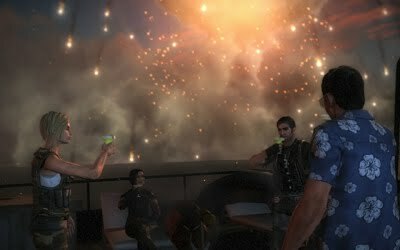 After a few months playing Just Cause 2 I've finally completed it, or at least completed the main storyline (what there is of it!). The main objective in this game is simply to destabilise the regime on the island of Panau by causing chaos. There are many ways to accomplish that most of which involve destroying government property or doing missions for other anti-establishment factions. I'd never heard of this game or the previous installment before this was released and I bought it without knowing a lot about it at all. Looking back I'm glad I did. Despite the short main story there are a lot of other random things to keep you occupied. I still don't like the plane controls but that's pretty much my only complaint otherwise the game is enormous fun. The graphics are great and the animation is fluid. The controls work well (expect for planes) and the grappling hook and parachute system allows some very interesting tactics and maneuvers. According to the summary at the end I'd spent 41 hours playing the game and that I'd completed 46% of everything possible. I'd completed all the main story missions and all the side factions mission so all of the other 54% must just be missed opportunities for causing chaos. To get the full 100% completion would be extremely tedious, I was happy with what I'd done and it 'felt' complete enough to me. I'm not sure how much replay value a game like this will have. There's really no choice based options so a second play though would essentially be the same. Perhaps on a rainy afternoon in a few years time it might be entertaining. For now though it's time to move on to something new. 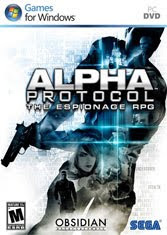 I've had Alpha Protocol for a few days and not tried it yet. Also there's Borderlands which has been waiting for me to try for a while. Along with the season six DVD/BD sets it has been announced that a rather nice box set of the entire series will be available. It's only been announced for the US at the moment but that will probably change. The collector in me totally wants a copy but it's a bit unnecessary really. I've already got the season 1 to 5 single sets so I shall be sensible and just get the single season 6 yet once it's out in September. I've made some excessive purchases in the past when tempted by special editions but I don't think this will be one of them. Still it does look really nice. It's one of those days where I can't think of anything to post about. TV has all wound up for the summer. I've got a copy of Alpha Protocol but I've not played it yet. I've not heard any new music and I've not finished my current book. Most of my time has been spent working or on general internet nonsense (curse you cheezbuger network!) so not much else to talk about. I shall therefore just wish you a nice weekend and move on. I've been thinking about what I might do for a second episode of Moments of Gaming. I've got plenty of footage from my game play this month which I still need to sift through. What I don't have yet is any music to go with it. Obviously this time I'm looking for something that won't incur the wrath of You Tube so I'm sticking to the amateur creative commons stuff. There's actually a ton of it out there once you know where to look. I'm currently browsing directories like this ccmixter.org. The only problem is the fact I've never heard any of it before so I don't have any reference about who might be good or bad. So I have to try and listen to as much a possible to get an idea. I've got a few possibilities but nothing as jumped out as 'the one' yet. It was announced yesterday that Legendary Pictures have purchased the rights to make a Mass Effect film (Bioware announcement here). I can't decide if this is a good thing or not. Quite a few video games have been made in to films however very few of them are any good. I enjoyed the Resident Evil films, but I've not played a lot of those games. I also liked Doom, aside from the lack of Cacodemons and Arachnotrons, it was good but not great. However so many of the others range from mediocre to complete rubbish. Street Fighter, Mortal Kombat, House of the Dead, Tomb Raider, Max Payne, nothing really great there. I've not seen Prince of Persia yet but I don't have high hopes for that. Can a Mass Effect film be any good? As a fan I really do hope so. It's off to a fairly good start. Legendary Pictures have a history which includes The Dark Knight, Watchmen and 300, all films I enjoyed. Also Avi Arad has a producer role and he has been involved in many of the great Marvel adaptations including Iron Man, X-men and Spiderman. Some of the Bioware staff also have executive producer roles, so they'll obviously be keeping at least some creative control. I hope they can keep Drew Karpyshyn involved somehow (lead writer of the games and books). Although I see someone else I've not heard of (Mark Protosevich) is currently in talks to do the script. The big question is what do you do about the story. Do you remake the storyline from the games or do something new based in the same universe. Personally I'd opt for the latter. The game play and story is based on player choices. If you choose to make the film script follow a particular path from the game then you'll disappoint those who choose a different path. In addition to that is the problem of the player's character, Commander Shepard. By default he is generic male space marine type, but in the game that's fully customisable and for me (and many others) she's female. So whoever you were to cast in that role a lot of people would consider it wrong. Unfortunately that probably won't be given a huge amount of consideration as the people who played the game are probably only a small subset of the people who will see the film. I'd say it should be a separate story from the game, like the books are. I've seen some people on the message boards saying it should be about the First Contact War but I think it would be more fun to have it set closer to the game's time frame so there could at least be cameo appearances from the game characters. Finally there's the budget to consider. 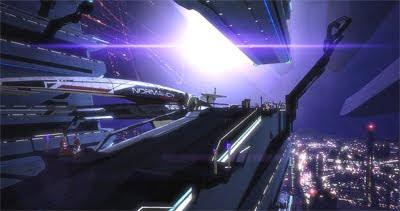 The Mass Effect universe consists of many planets spread all across the Milky May which all have a unique look. Huge sci-fi cityscapes, frontier colonies and ancient ruins, a lot of that will need to be CG and it won't be cheap. There is also the aliens to consider. The Asari and Krogen could probably be done with prosthetics, but I don't see any way to do the the Salarians or Turians without them being fully CG characters. I know all that is a lot easier these days but to do it well will take a good chuck of cash and I'm not convinced it has a broad enough appeal to make it back. So for now I'm quietly confident and hopeful for the project. It will be at least five or six years before it's released anyway and there's Mass Effect 3 to come before then! 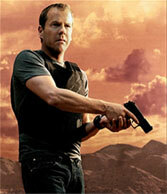 Another long running TV show has just come to an end, the final two hours of 24 aired last night. This was of course nowhere near as important to me as the end of Lost but still fairly major after following Jack Bauer for eight years. Unfortunately this wasn't as good as I'd have hoped. For starters it seemed like they'd not done anything special for the last ever episode, it just felt like any other season finale. I expected something much bigger for the end. Jack wasn't actually even in it a lot nor was he the main focus of the story. It was all far too political and not enough action. In the past people have had websites devoted to Bauer's kill counts it had become such a thing but in the last two episodes that count was zero! We have him planning to assassinate the Russian president rather than chasing down terrorists. I know he was grieving for Renee but it all seemed a bit out of character to me. The final problem is the fact they've left certain things open for a film in the future. Which means rather than finally getting to settle down with his daughter we see Jack forced to flee the country on the run from the Russians. So it's not really an end at all. I'll start by saying this, I enjoyed the finale a lot. I thought I'd start with that as I know from experience that my writing style tends to be on the negative side. I suspect there will be quite a lot of angry and disappointed people out there after this episode. Admittedly I don't think there was ever a chance they'd be able to satisfy everybody and it's probably a good thing that they didn't try to. In the last few days someone (can't remember who) said that the finale would divide the fans into two. Having seen it that makes total sense, but I'm not sure which side I'm on. I'm in the middle with one foot on either side. Whether or not you liked it will depend a lot on what had hooked you to the series in the first place, which seems to be a case of characters vs mystery. For me it was always a bit of both. It was episode four back in season one which first got me. The whole reveal of Locke and the wheelchair was brilliant and I've loved that character ever since. On the other hand the ongoing mystery was a big part of it. What was in the hatch? Who drew the black light map? Why doesn't Richard age? Of course those particular questions got an answer, but there were a lot that didn't. This is what will bring the divide. The finale was all about resolving the character's story not about revealing the nature of the island. As a result of that I found myself emotionally satisfied but at the same time not quite intellectually satisfied. It was great to see everybody back that we'd lost over the years such as Shannon and Boone. I also smiled when I saw Sam Anderson and L. Scott Caldwell in the opening credits, it wouldn't be a proper finale without and appearance from Rose and Bernard even though they're minor characters compared to the likes of Jack. It did seem a little odd that Michael and Walt were missing they were such a big part of the earlier seasons. I wonder if there was a story reason for that or if it was just down to actor availability. I suppose you could say that Michael didn't deserve to move on with the others, but he wouldn't have been the only murderer in the group, Ben got to go. Edit to add: On checking I see Ben didn't go, but it looks like he was given the opportunity. So the 'flash-sideways' turned out to be a metaphysical waiting room where you lived a fantasy life until you suddenly remember your previous life, at which point you can move on (presumably to heaven). I was not expecting that at all. I thought we were going to get a more science fiction type solution with alternate universes, especially after all the time travel in season five. I guess that would have taken another season to explain! I do wish they'd spent a little more time this season explaining some more about the island and it's nature. I think it's safe to say that island has a will of it's own and could therefore be considered a character, in which case it deserves some closure too. We get to see Hurley become it's new protector but we still don't really know why it needs to be protected in the first place. A few too many times in Lost things have been explained with 'how' rather than 'why' which usually just leads to more questions. For example the giant foot from the season two finale was eventually revealed to be part of a massive Egyptian statue. Later we were shown how it was destroyed, but we still don't know who built it or why. Who built the temple and the glowing light pool? Who was the first protector and how did they find the island? Was anyone actually a native or were they all called? These are all questions I'd have liked a bit more information about. Overall I'm not disappointed and I'm glad the show got a proper chance to end unlike so many others recently. I've been with the show for six years and I've enjoyed it all. It joins a list of shows, including Battlestar Galactica and Buffy, which I have become completely obsessed about and will re-watch many times. I wonder what the next one will be! I don't know what Damon Lindelof & Carlton Cuse have got planned next, but whatever it is I'll be sure to give it a go. 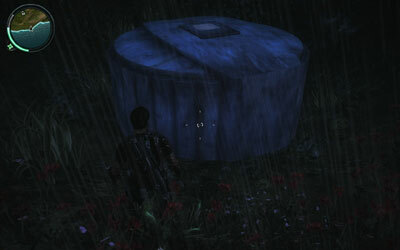 In honour of the end of Lost tonight I decided to search out the Lost Easter eggs in the game Just Cause 2. Seeing a video of the hatch in the game was first time I saw any game play footage so I figured I'd try finding it myself. As it turns out there's more than just the hatch, there are EMPs, crashed planes and smoke monsters too. Also I see there's a mission that goes to the island too, I've not done that one yet. There's already quite few videos on You Tube of these things but I didn't see there being any harm doing another! You can see mine here. We're past half way through the first series with the eleventh Doctor now and I'm still enjoying it. Matt Smith is doing a great job as The Doctor and Steven Moffat is handling the producer role well too. However I think my favorite change this year has been the companions. I'm really liking Amy and even Rory. It took me longer to get to like Rory but after this weeks episode (The Hungry Earth) I'm happy for him to stick around. As for Amy she's become my favorite companion of the modern series. Including the classic series as well that spot might have to go to Ace but it's close. One other random thing I realised, this is the first time the actor playing The Doctor has been younger than me! It's been 11 years since this episode first aired (Buffy Season 4 Episode 10). It's always hard for me to commit to such choices but I think I can safely say that this is the single greatest hour of television ever created. I've just gone past this point in my re-watch of Buffy and I decided I'd post about it. If you ask me for a favorite TV program in general I would most likely say Firefly and give Buffy number 2, but best episode ever has to go to Hush. There's so many things to like about this episode. 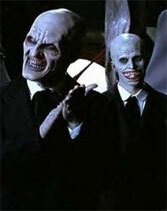 First there's the Gentlemen (pictured) who are probably most iconic non-vampire monster in the entire history of Buffy. They're brilliantly realized with the actors bringing the excellent prosthetics to life with ease and creating a creepy and memorable performance. It's position in the overall story is also a major factor. It's the culmination of many plot lines and the start of many new ones. I think part of the enjoyment now is from knowing what will happen from these events rather than the events themselves. Willow first meeting Tara or Buffy and Riley's first kiss would be major examples. On the first viewing they didn't mean so much but on repeat viewings knowing the tragedy both of those relationships will end with makes those moments incredibly bittersweet. There have been quite a few experimental episodes of Buffy. The interconnected dreams of Restless, the musical Once More With Feeling or The Body which has no incidental music at all. However I think Hush is probably the most unique example. For a character driven drama it's an amazing feat to have nearly 30 minutes in the middle of the 45 minute run-time without any dialogue. It shows the talent of the writer and actors to tell the story so well without talking, it's no wonder this episode got Buffy's first Emmy nomination (for best original writing). Also a great episode for composer Christophe Beck who obviously had more to do than usual on this one. For me no single episode of TV before or since has ever reached the same levels of fun, excitement and emotion. Of the new TV shows I've been watching this season the one I seem to be least sure about is V. I remember enjoying the original version although I admit it's been many years since I saw it. However this new remake just isn't quite keeping my interest. There's not a lot of new sci-fi on TV so I was really hoping it would be good but it's just not up to the same level as say Firefly or Battlestar Galactica. I've enjoyed the work of Joel Gretsch, Elizabeth Mitchell and Morena Baccarin in the past but so far with V I'm just not getting attached to their characters. Side Note: I don't like Morena Baccarin with short hair either, it just looks wrong to me, though I suppose she is supposed to be an alien and it helps with the creepy vibe which she's doing great. I'm still willing to give it a little longer but the main problem now is keeping up to date. I seem to be giving it a low priority when choosing what to watch to the point where I always seem to be a few weeks behind. I'll catch up soon enough now things are ending for the summer and if it gets renewed for a season two I'll probably still tune in. What remains to be seen is whether it will be good enough to enter my DVD collection. 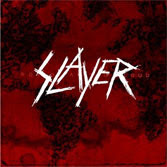 I've just been listening World Painted Blood by Slayer and I was thinking I don't actually remember hearing it before. I guess I must have at least once when I first got it but somehow I've managed to forget about it. There's some great stuff on this album. Slayer have still got it even after thirty years. Now I just wish I could play double bass drums as fast as Dave Lombardo! Nothing is coming to mind for a topic today. I'm still catching up with work after a weekend off and not much else has been going on other than a few little things not worth a whole post. Still enjoying the new Annihilator album. House season six finale was great as was the end of Smallville season nine. I'm sad to hear Heroes and Flash Forward have been cancelled. Also the death of Ronnie James Dio which was a sad day for metal. Even though I've never actually heard a lot by him, I'm aware of his influence. "66 Solos on this record!" That's the sticker on the front of the new Annihilator album. That's a great claim to have, I wonder who had to count them? 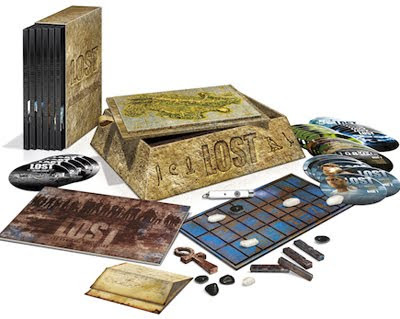 The special edition boxed set is really nice, with badges, keyring and stickers. I took some pictures as I opened my copy which arrived this morning, you can find them here. The music itself is awesome too, with ten fast and powerful thrash tracks. There's no ballads on this one which is a bit of a shame. I know some people don't care for those but personally I enjoy them and the last one was four albums ago. Time for a new one I think. After the first listen two tracks stand out as my favorites, those are The Trend and Death In Your Eyes. I'll need some more listens before I can decide which comes out on top. I never knew we had the most powerful working steam engine remaining in Europe here in Sheffield. It takes a couple of friends visiting from out of town with a tourist's eye view to find out such things. To be honest I wasn't aware that we had an Industrial Museum at all either. Though it makes sense when you actually think about it. Visited the Kelham Island Museum today and they've got lots of interesting things on show, of course most of it is related to the steel industry as that's Sheffield's thing. The main exhibit is the River Don Engine the massive 12,000 horse power steam engine which once drove the heavy plate mill. It's quite impressive how fast something so large can go and how fast it can change direction. I took a video of it, but unfortunately I didn't catch it a full speed as my battery ran out! See the video here. Small posts this weekend as I'll be busy or out or have company most of the time. Also I can't think of a topic for today :D I can't even find a random link or silly picture, must be a slow news day. There's not a lot to be known about this film yet, which is not really surprising as it's going to be a summer 2011 release. However the potential of a collaboration between J.J. Abrams and Steven Spielberg is something you can't really ignore. The new teaser trailer is sufficiently vague while still being interesting and this is definitely something I'm now looking forward to. View the teaser here. 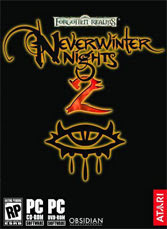 I've already released one mod for the game Neverwinter Nights 2 which was the Scripted Lighting System. However it's been over a year since the last version of that was released and I've not done anything since. I've got three more incomplete NWN2 projects and I've decided to to commit to finishing a least one of them this year. I will find a bit of time each week to work on these, which should be easier now the TV season is coming to an end. I keep a separate blog for my NWN2 work (which you can find here). It's not been updated in quite a while but I shall fix that soon. I've been looking forward to this game for a while and now a collector's edition version has been announced which will be available for pre-order soon. The collector's edition of Fallout 3 was great but this one looks like it might be even better. I don't know why I like collector's editions really but I always get them for games I know I'm going to like. Neverwinter Nights 2, Spore, Command & Conquer 3, Mass Effect 2, Dragon Age, I've got them all and more. It's all a bit silly really as most of the extras like art books and behind the scenes DVDs you'll only ever look at once. The things with the most longevity are the figures, I've still got my Fallout 3 Vault-Tec bobble head and my Neverwinter Nights 2 Mountain Troll on display. At least for four years anyway, hopefully, maybe. It was Stephen Fry's blog which started me off so now he's posted again on the current situation I'll link to it again. Still I've no idea what the way forward is from here but hopefully someone does. 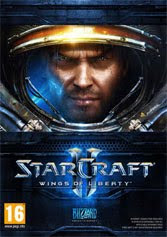 I pre-ordered my copy of Starcraft II this week and got my beta test key yesterday evening. Technically under the beta agreement I'm not actually allowed to say anything about the game itself or battle.net in general so I can't talk about the details. I've played a couple of games verses AI and enjoyed it. It's been a while since I've played the original but a lot of things still feel familiar. One thing I'm not keen on is the music, but that can be turned off. Seeing as I decided to make some pre-election comments I guess I may as well do a quick post on the results. Despite my non-voting stance I am still interested in the results themselves. I even stayed up to watch them come in as I have the luxury of choosing my own hours. 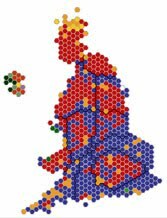 Lots of stats, graphs, counts, seats & swings they all far more interesting and understandable than policies and manifestos. As always it starts off really slow until eventually the results are coming in too fast for each to be mentioned separately. There seemed to be a lot of problems and delays which meant a lot of the counts were late. There were five constituencies I was looking out for. My own of course (Sheffield Heeley) along with surrounding areas (Sheffield Central & Sheffield Hallam) and also my home town ones (Cheadle & Stockport). It was gone 5 in the morning before Cheadle and Stockport were announced but they were both fairly standard expected results Lib Dem hold in Cheadle and Labour hold in Stockport although there was quite a high swing to Conservative in Stockport. The results for Sheffield didn't come till about an hour later. Obviously Sheffield Hallam held as Lib Dem and Sheffield Heeley held Labour. However here in Heeley there was huge 9.2% swing to Lib Dems quite a lot for a 'safe' Labour seat. The most interesting was Sheffield Central which held Labour but only with a majority of 165! Now as to my thoughts about a Conservative/Lib Dem coalition I've no idea, that's back to policies again. I have to say though that on completely superficial terms of looks, personality and elocution I'd say David Cameron makes the best Prime Minister. I stand by my decision to not bother voting, the numbers show it would have made no difference. Just announced yesterday, Darkspawn Chronicles is new DLC for Dragon Age: Origins. 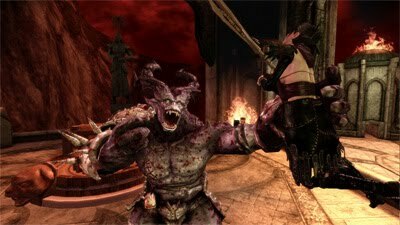 As a general rule I'm interested in alternate universes and alternate histories however I'm not sure how much playing a Dragon Age story as a Darkspawn ogre really appeals to me. It's probably due to the fact that they're the enemy and after spending lots of time to defeat the Archdemon it feels a bit odd to be working for it. BioWare admit to this being experimental and I'll probably still give it a go. I expect it will actually be fun in the end even if it's not that deep. However I think if they do anymore additions before Dragon Age II I'd prefer them to do more with the original timeline/storyline before exploring more alternates. There are quite a few games slated for 2010 which I'm interested in. Unfortunately only two of them have set a fixed release date at the moment. This game has just gone gold and will be available on the 28th of May. A new role playing game from Obsidian, I'd not really paid it much attention until the last few days when a lot of new trailers and previews were released. I wasn't sure I'd be interested in a spy RPG but it actaully looks like it will be quite good and I can't think of any other RPGs set in the present which is new. Just this week it's been announced that this will be released on July 27th. Though in the UK games always come out on a Friday (except for really special circumstances) so it will probably the 30th here. There are beta test keys available with pre-orders now so I should probably get mine on order soon. I've been wanting for try it for quite a while! Two games which are slated for the forth quarter are Fallout: New Vegas and Portal 2. A new full length Portal game rather than just a bonus should be great and a new addition to the Fallout universe is looking excellent based on the latest previews. Civilization V is due at some point in 2010, no other details are available to date. I've played and enjoyed many hours of the previous four installments. I'll be getting this on the release day without question and I'll probably not get much sleep. I suffer a lot from "Just one more turn" syndrome. Another one with a date of just 2010 at the moment is Star Wars: The Old Republic. A new Star Wars MMO from BioWare and sequal to Knights of the Old Republic. This is probably the first MMO that might have the power to take the top spot from WoW. Everything sounds great about this game so far I just hope they can pull if off. That's it unless Diablo III finally gets a date, that's just TBA right now and of course there's Dragon Age II but that's not planned to be out until February 2011. Two days until the general election in the UK and the biggest question on my mind is do I even care? I'd already decided that I was not going to vote. I'm pretty sure I've already thrown away my polling card. Then Stephen Fry wrote a huge blog post about how everyone should use their vote and how it's lazy and cowardly to not do so. I decided in that case as I have a blog too that I would explain why I don't care. I've tried on more than one occasion to read up on all the parties and decide who fits with my mindset but I've never managed to finish. The party manifestos just can't hold my interest. They're all full of grand promises and vague assertions which mean nothing to me, I've got more important things to do than figure all this out. In the twelve years I've been of voting age they seem to have mostly managed without me. So why should I start now? I'd be happy to vote if there was someone I liked but there isn't. Why should be forced to pick the lesser of two evils? I choose to use my vote to vote for nobody representing my displeasure with all parties. There are two major issues which I have an interest in. The first is NHS spending as being diabetic I use a lot of NHS services. However as far as I can tell all the parties have pretty much the same vague plan. To try and make funding cuts without disrupting services. So that doesn't set anyone apart, what else is there? The second issue I have is the digital economy bill. In it's current form I'm completely against it. However every single councillor in Sheffield voted for the bill while at the same time—according to the records—none of them even turned up to parliament for the reading of the bill. So why should I care when that gives the impression that they don't. They must all have been too concerned with preparing for the election yet ignoring the one issue which could have turned it for me. Next there's a local issue, apparently there's not enough councillors in Sheffield representing the Conservatives or the Greens making it physically impossible for them to win the seat. I'll admit I don't know the full details but that doesn't sound particularly democratic to me. Finally there's all the propaganda, leaflets, pretend newspapers, handwritten letters (which are actually printed) and all that stuff, not a day goes by when I don't get something through the letterbox. It feels like they're desperate but it doesn't help, they go straight in the bin. What a waste of paper that is and how much money could they have saved if they left those out? Novels based on video games seem to be a fairly new concept. I only recall noticing them over the last few years. I suppose it makes sense, it would probably be a little difficult to write compelling fiction about Pong or Frogger. However these days we've got games much larger in scope with huge back stories. Unfortunately the earliest example I can find is Halo which is a game I'm not a fan of. I'm not including things such as Star Wars or Warhammer which existed as other media before they were games. Recently there have been a lot more releases based on role playing games. This makes sense as they're generally the type of game with the most involved story and setting, they're more about creating a world for the player to inhabit. Now obviously the quality of these books is going to vary in quality depending on the author and how rushed they were, but I've only read the one so far. When there's a book available set in a universe you like, which was produced by the same game company and written by the lead writer of the game you really can't ignore it. In all but the strictest definition it would be considered canon. 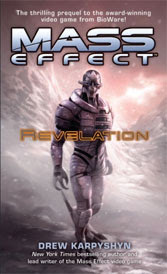 Mass Effect: Revelation is a prequel story set 18 years before the events of Mass Effect 1 and involves David Anderson's attempt to join the Spectres and his first meeting with Saren. I always liked Captain Anderson in the game, far more than that idiot Udina, I always chose to suggest Anderson join the Citadel Council at the end of ME1 even when playing renegade. So the story of a young Lieutenant Anderson is a welcome addition to the lore. The story suffers a little from the fact that we already know Anderson is going to survive but it's still interesting to see how he does it. The descriptions and setting all feel like they're part of the same world as the game and the characters we've met before still feel like the same people which is all good. Overall the obvious conclusion is, if you enjoyed the game then you will probably enjoy this book. For my next book I'm going to move straight on to Mass Effect: Ascension, this one set in between Mass Effect 1 & 2. Uploading a video to You Tube is supposed to be the simplest part of the process but for me this time is turned out to be the most problematic. For the sound track I had used three tracks from the Nine Inch Nails album Ghosts I-IV. Trent Reznor and the band released this album free to the Internet under the Creative Commons Attribution Non-Commercial Share Alike license. That basically means "You are free to share, to copy, distribute and transmit the work under the following conditions: You must attribute the work in the manner specified by the author or licensor, you may not use this work for commercial purposes and if you alter, transform, or build upon this work, you may distribute the resulting work only under the same or similar license to this one". 36 tracks of free wide ranging ambient music with no vocals is perfect for making this sort of video but the You Tube system disagreed. After uploading the video I saw the message "Matched third party content" in my account. I wasn't sure what that meant until I searched for it (email notification came later). They've got some kind of system at You Tube which automatically checks audio for copyrighted material. They must have a huge bank of mp3s to compare every video upload to. I'm surprised they did it so quickly, though I guess they are part of Google now. Once a video has been tagged with third party content they automatically show adverts on the page which I'd be fine with if it was true. I'm well aware that copyright is a big issue on the Internet these days. I'd picked those tracks on purpose because of their creative commons status hoping to avoid any copyright issues and as far I understood the game play clips would be considered "fair use". So I thought I would be in the clear. You Tube does have a system in place to dispute copyright claims—which I have done—but that has to wait for a response from whomever is running the Nine Inch Nails You Tube account. That wasn't even the end of the story! In addition to those problems there was a technical error with my video. When you upload a video to You Tube it is transcoded into their own format. However there was something that process didn't like about my video which completely messed it up to the point where it was not even watchable. Low quality, all blocky with colour smearing and flickering. Any other time I would have simply deleted the video and tried again but because of the copyright dispute I have to leave it in place. If I uploaded it again I'd have to start the whole process again and possibly end up with a bad mark on my account. So for now that video has been marked private. I've been talking with some nice people on the You Tube support forum today and we've come up with some ideas as to why it came out at such a low quality. Next time should be better. I'm now calling this my "pilot" episode. I've learnt a lot about copyright and encoding while doing this. I'll do an official "episode 1" next month with some better music, I'll stick to the amateur creative commons stuff. The final question was what to do with the current video. Changing the music wasn't an option. In a video like this the audio and visuals are so tied together that neither works without the other. It's just a simple compilation of video clips set to music, hardly innovative I know, but I wanted to do something with it. Luckily I operate and maintain many Internet servers all over the world, so I decided to simply host it myself as I still believe I'm fine with regards to copyright. It won't get the extra exposure You Tube brings but at least it will be available and it's taught me a lot for next time. I decided to combine my interest in video editing with my love of video games. It seemed like those would be a good fit, so I set up my gaming PC to be able to record my game play (thanks Fraps). I quickly amassed a whole lot of footage. I hadn't planned on doing this quite so soon, but archiving the previous month at the start of a new one seemed reasonable. There was a over 90 minutes footage which I have now edited down to 6 minutes. It was fun to do, I had originally planned to do it over a few sessions but once I got started I had to finish it. As I'm typing this (for posting later) the video is still rendering. Even on a modern quad core rig it still takes a long time to render high quality video frame by frame, it's been a while since I've done anything like this and it took a few attempts to get the render settings right. Edit:I had a few issues uploading to You Tube, see my next post for more information.